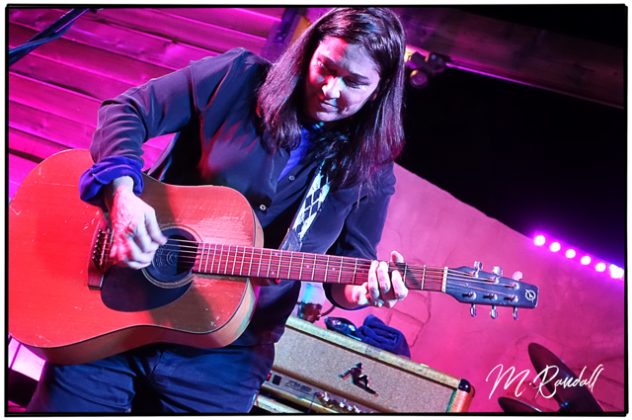 under the desert stars on the outdoor stage. 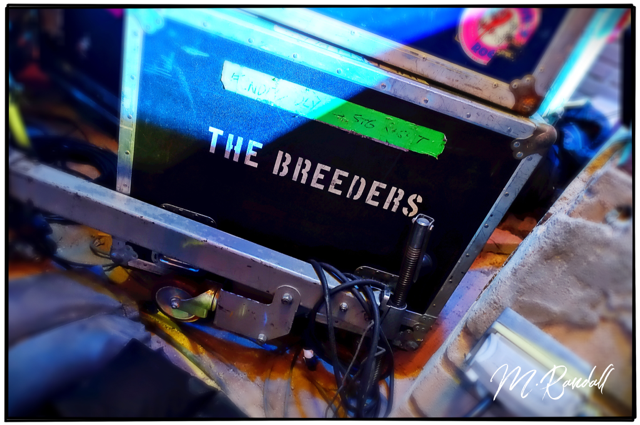 On this warm, early autumn evening, The Breeders faithful stirred up a cloud of dust that drifted into the air. 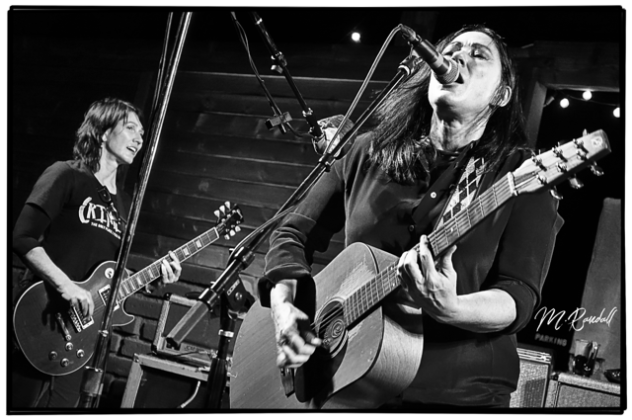 I say faithful because Pappy and Harriet’s was no small trek for the mostly out-of towners, with people driving in from all parts of the southland like San Diego, Los Angeles to catch the band, whose lineup consists of the members that recorded the 1993 classic “Last Splash“: Sisters Kelley and Kim Deal on guitars and vocals, bassists Josephine Wiggs, and drummer Jim MacPherson. 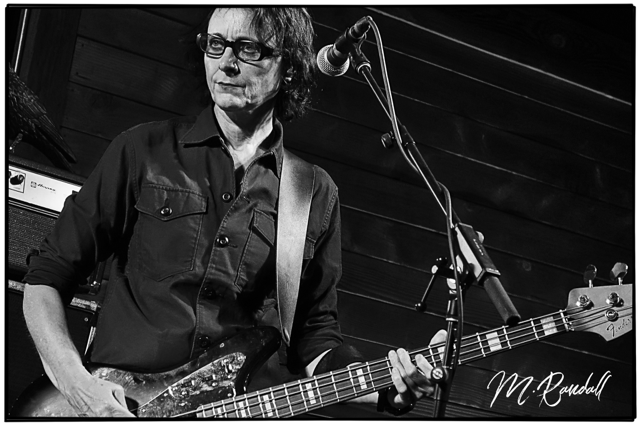 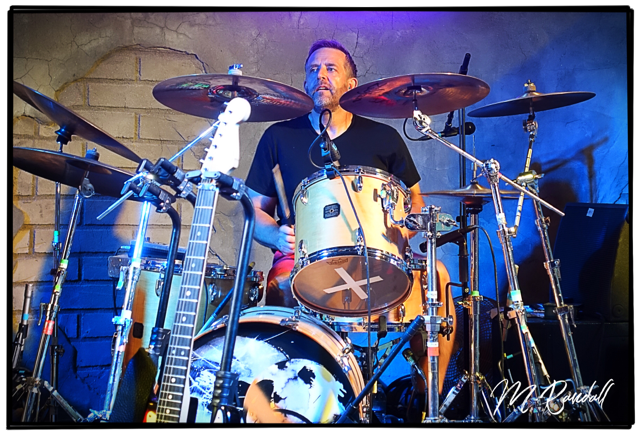 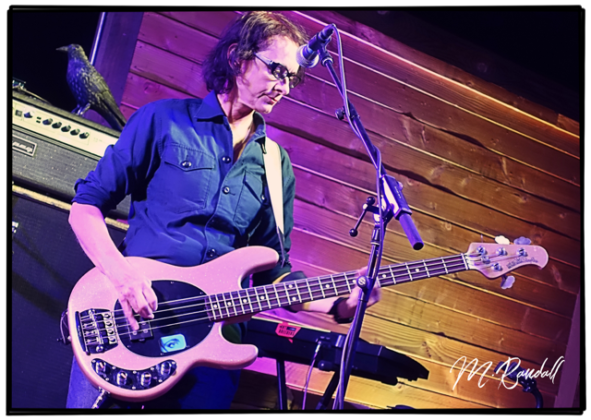 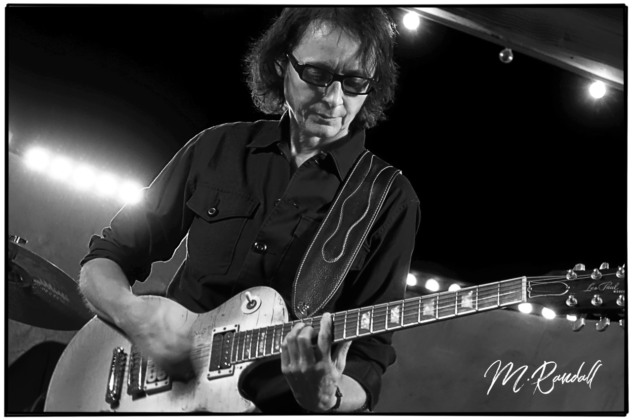 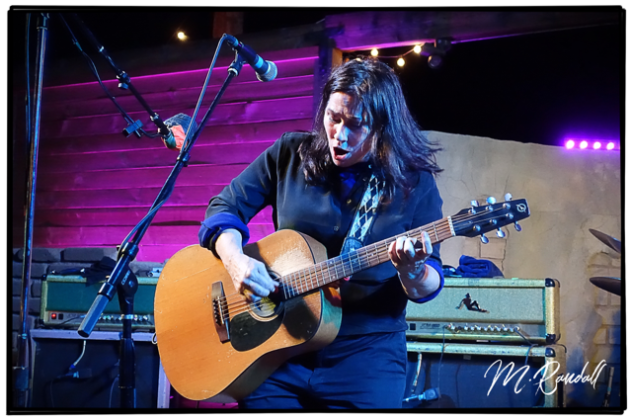 The show at Pappy and Harriet’s was the kick-off date of the band’s fall tour in support of their first new album in ten years, “All Nerve” which was released earlier this year. 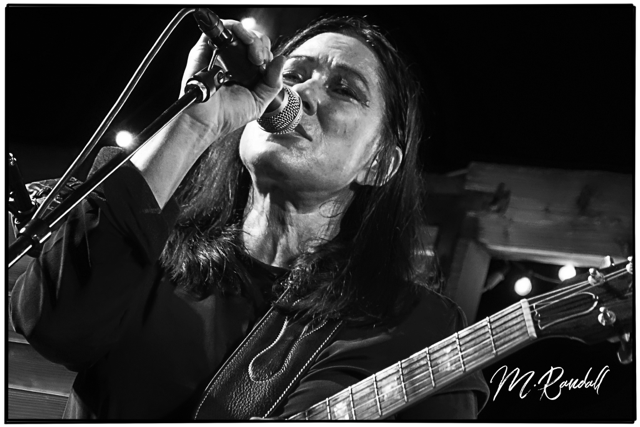 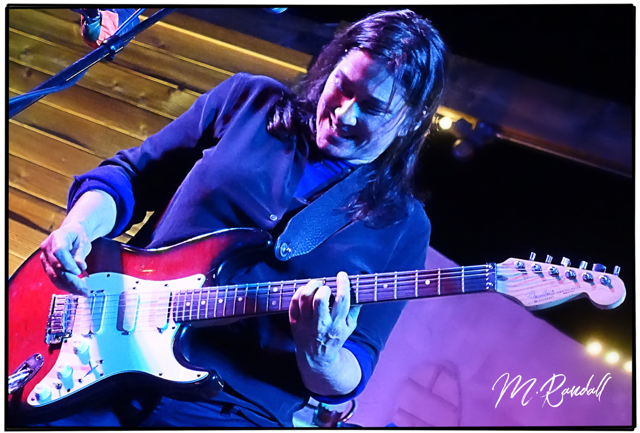 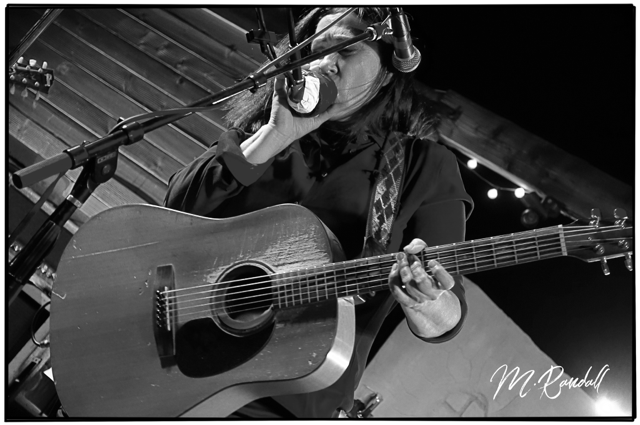 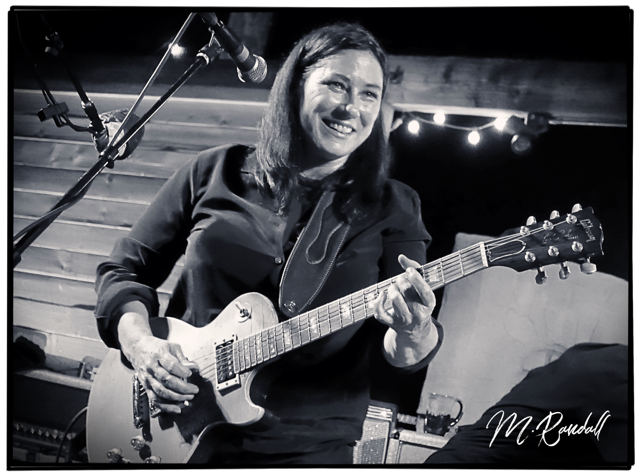 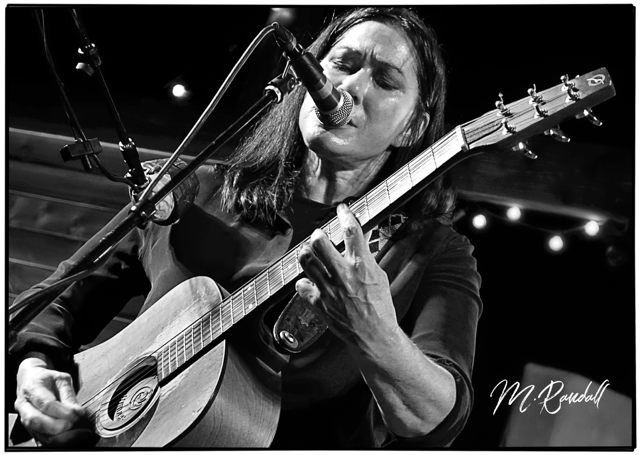 Although there was a setlist, there was a seat-of-the pants feel, with Kim Deal exuding a nervous energy, giggling and introducing songs as “before rehab.” Kelley would direct sisterly humor towards her twin, and bassist Josephine Wiggs acted as a sort of timekeeper, adding her stoic, deadpan remarks whenever the sisters seemed to stray off-script. Whenever Wiggs, a Brit, spoke between songs, Kelley felt obligated to translate her’ “English” to the crowd. 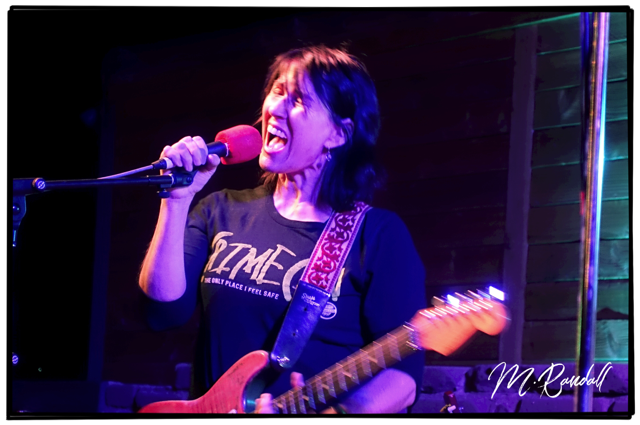 The pace of the night was often broken up by Kim having to tune her guitar, but that gave drummer, Jim MacPherson, an excuse to fill the time by experimenting with his samples box. 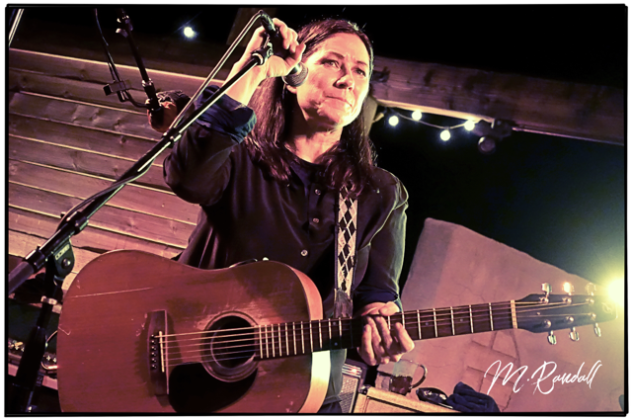 Acknowledging the remoteness of Pappy and Harriet’s, Kim asked the audience if they were all staying the night up there, and cautioned them to drive home safely because if they broke down, they’d be out of luck and there’s no phone service. 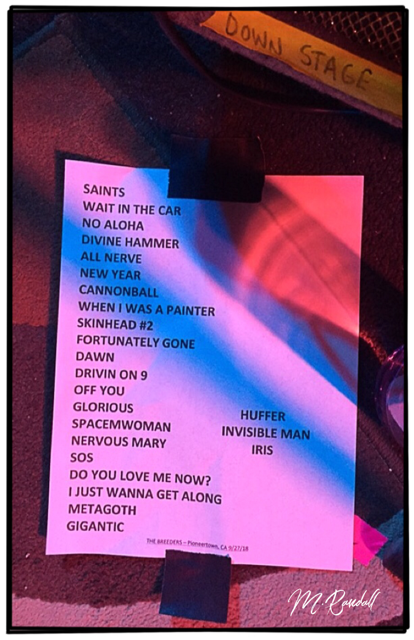 The band ran through a 90 minute set which relied on songs from “Last Splash” and “All Nerve“. 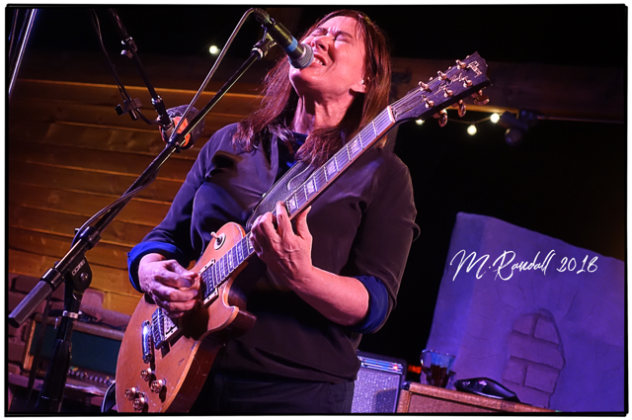 The band’s “hit” “Cannonball” came fairly early in the set that also included “Drivin on 9” which featured Kelley singing the violin part, and “I Just Wanna Get Along” with Kelley on vocals. 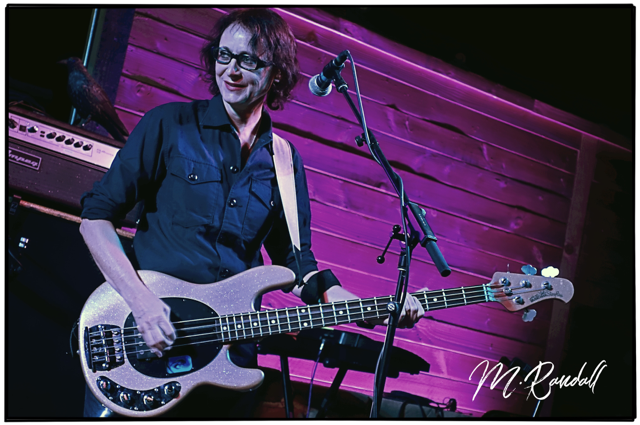 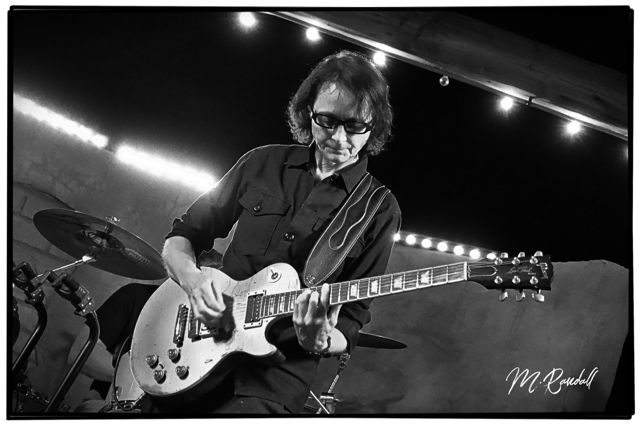 For “Metagoth“, a song based on a poem by Wiggs’ mother, Wiggs and Kim switched instruments – Wiggs strapped on the gold Les Paul Gibson and Kim took up the bass. 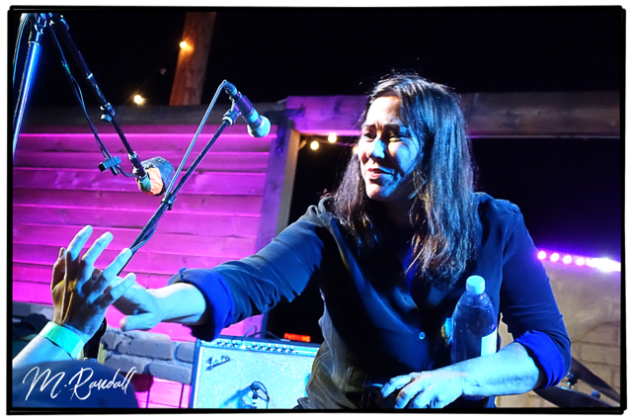 This switch continued to the last song, the Pixies tune, “Gigantic“. 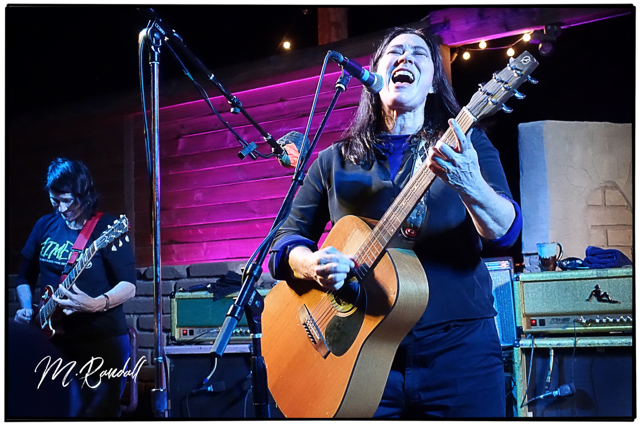 The band returned for a three song encore and with that, a night under the stars with The Breeders, one of the brightest of the 90s alt-rock firmament, was over.